It’s the week of the 82nd Academy Awards and guessing, predicting, wishing and knowing who will bag that career changing gold statuette is forever keeping us entertainment folks busy in Hollywood. If you believe that you probably also believe that the Oscars is a fair race. Wish lists and predictions are often completely different animals when it comes to Academy Award winners. Much of it is spin of course; for instance, pitting The Hurt Locker and Avatar as a 21st century battle between David and Goliath. I don’t know what is with the Academy Awards but whenever a Brit is nominated the competition turns into a nationalist Olympic fight and I will be the first to admit that sometimes these biases get in the way of solid reporting. But as this falls into the wish list category then I am saved. 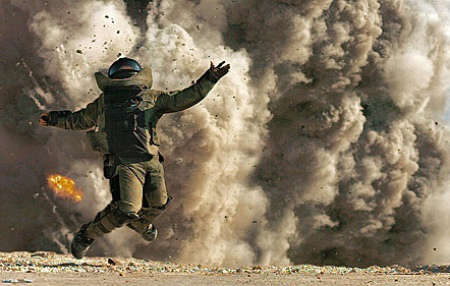 The Hurt Locker has been praised by film critiques and industry insiders for its truthful depiction of a bomb disposable unit in Iraq. But there’s truth and Hollywood truth and it is the latter that has caused some consternation with Iraqi armed forces and veterans. Many who have seen the film have found the maverick tendencies of its main character, played by Jeremy Renner, to be unthinkable with such a dangerous profession. This criticism comes just days before Tuesday’s Oscar ballot deadline but will fail to dent director’s Kathryn Bigelow’s roll as the movie remains Oscar favorite to win best picture and best director awards. Writer Mark Boal was himself part of a bomb disposal team stationed in Iraq and consequently earned his qualification in depicting his own experiences over there. These experiences are then transferred to the big screen and follow film conventions in story telling. Make no mistake this is a Hollywood film and one that is close to the real deal but even documentaries have to entertain. 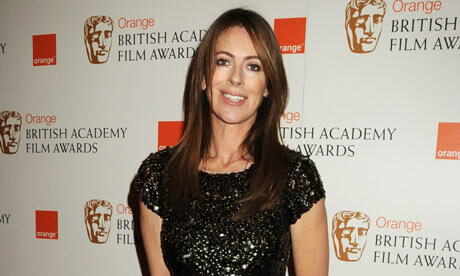 It was Kathryn Bigelow’s night at the 2010 Orange British Academy Film Awards this evening. Bigelow won awards for best director for “The Hurt Locker” which also won best film, best cinematography, editing and sound and best original screenplay for Mark Boal. Colin Firth won best actor for “A Single Man,” while newcomer Carey Mulligan won best actress for “An Education.” Christoph Waltz won best supporting actor for “Inglourious Basterds,” and Mo’Nique won best supporting actress for “Precious: Based on the Novel ‘Push’ by Sapphire. Director Kathryn Bigelow could be the first woman to win at the Golden Globes and the Academy Awards for her war drama “The Hurt Locker.” But why has it taken so long? I remember when Thelma and Louise was released and all these women who had never been to the cinema since their childhood came out to watch the movie. Same thing happened with Sense and Sensibility. There is an audience for us. Hollywood continues to convince the male press that there is no audience for movies made by or starring women. I want to see women characters having as much a good time on screen as their male counterparts but most female characters are relegated to “girlfriend,” “whore,” “wife,” or “mother.” This cinema is incredibly boring and I am sick of formulated unimaginable tales by male directors about men. A great male director enlists as much time and research into his female characters as his male characters. If their women are two dimensional, I’d rather they be left on the cutting room floor. Kathryn Bigelow’s (The Weight of Water, Strange Days, Point Break) The Hurt Locker was the winner of last years Grand Prize at the Venice Film Festival. The American war thriller was shot on location in Jordan and is based on declassified information about a U.S. Army Explosive Ordinance Disposal (EOD) team in present day Iraq. Jeremy Renner (28 Days Later) plays the leader of the EOD team who has to defuse bombs while a full on war is exploding around him and his team. The authenticity of the film hits like an unexploded bomb, as many of the locations were less than three miles from the Iraqi border, plus all of the Iraqi roles in the film were played by displaced Iraqi war refugees living in Jordan. Renner trained with real EOD teams prior to shooting the film. On set, he had rocks thrown at him and even got shot at while filming. The film also stars Ralph Fiennes, Guy Pearce, and Anthony Mackie, although it is Renner’s performance as a man who faces the prospect of death on a daily basis that truly stands out. Bigelow’s usual flair for visual poetry and exhilarating actions sequence never skips a beat.